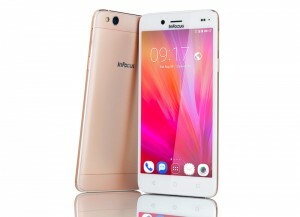 Infocus had announced the release of its new smartphone M680 on December 21. It has many surprises like metallic finish and 13 MP front and rear camera. The phone is built with 5.5 inch HD display screen and it has Media trek octa-core processor of 1.5GHZ. The RAM of the phone is 2GB and the storage memory is about 16 GB. The memory can be extended up to 64 GB using Micro SD card. The smartphone has 13MP front and rear camera with Samsung 3M2 sensor and F2.2 aperture. The camera has special features like autofocus, HD video recording and HDR. Infocus M680 is powered by android lollipop and it has required connectivity options like 4G, Bluetooth, GPS and Wi-Fi. The mobile has 2600 mAH battery with a support of dual SIM where one slot is hybrid. The Indian market price of Infocus M680 is 10, 999. Infocus M680 is now available in Snapdeal but the sale will start from 21st onwards, so people who are planning to buy a new smartphone can consider this as an option.